From the renowned yard of Contest Conyplex in Holland, the Contest 35 is well built, with an innovative design. 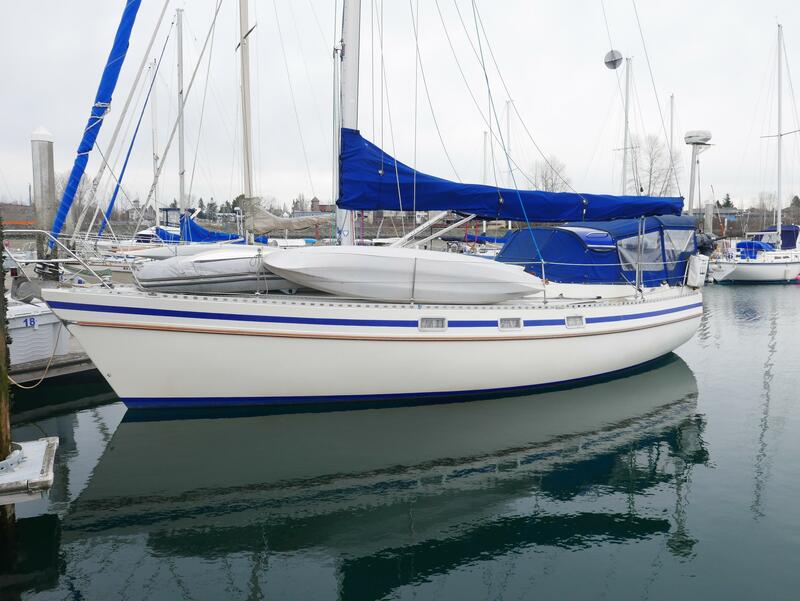 Having spent most of her life on Lake Michigan, "Serenity" is in excellent condition. 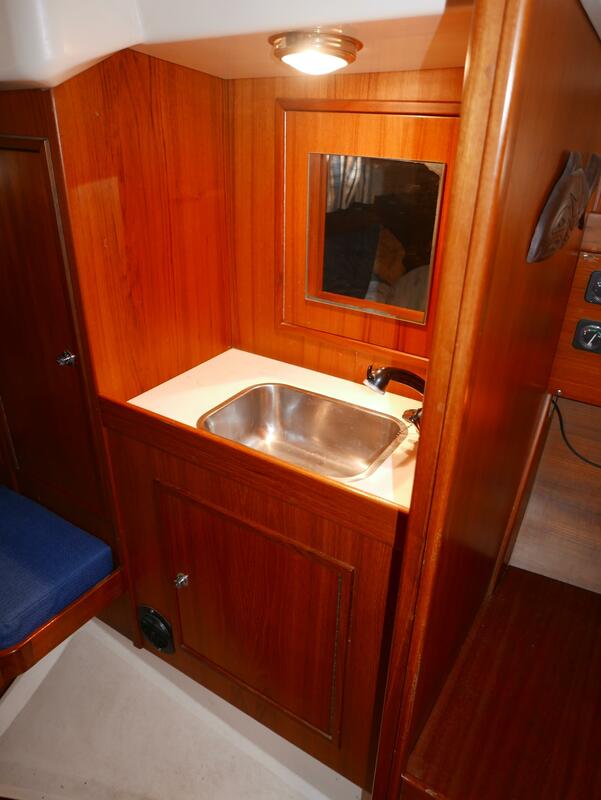 Her roomy and functional interior provides the space of a much larger vessel. Besides providing comfortable accommodations, this boat will sail well, too. Quality construction techniques are used throughout. 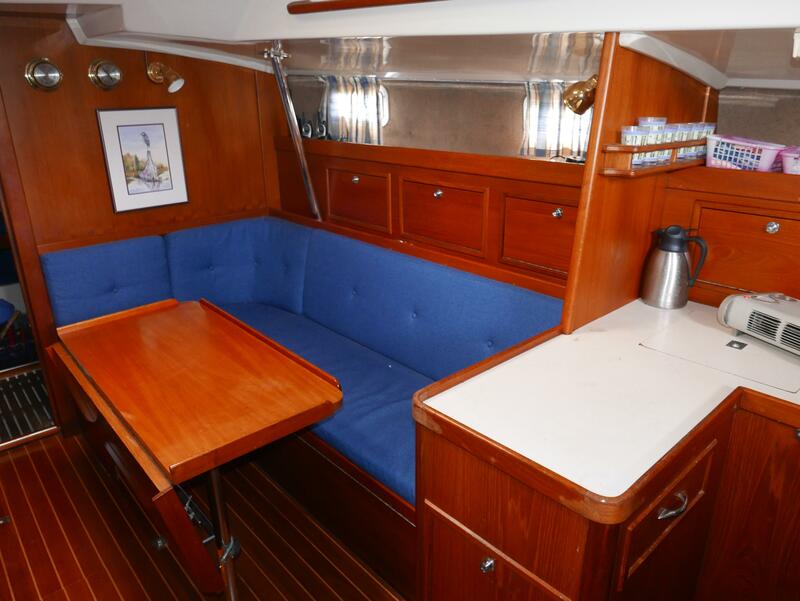 Serenity has stainless steel tanks, and all her furniture and bulkheads are glassed and tabbed in place. The interior is gorgeous and clean. 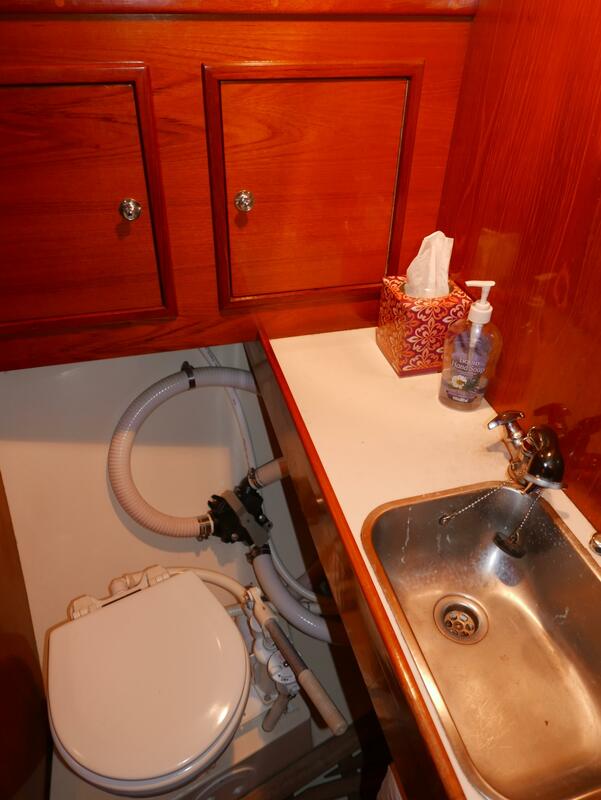 The bilge is also clean. There's a newer Volvo engine, upgraded Halsey Lidgard Sails, a Wave-Stopper Rigid dodger, and more. All the systems are tidy on "Serenity". 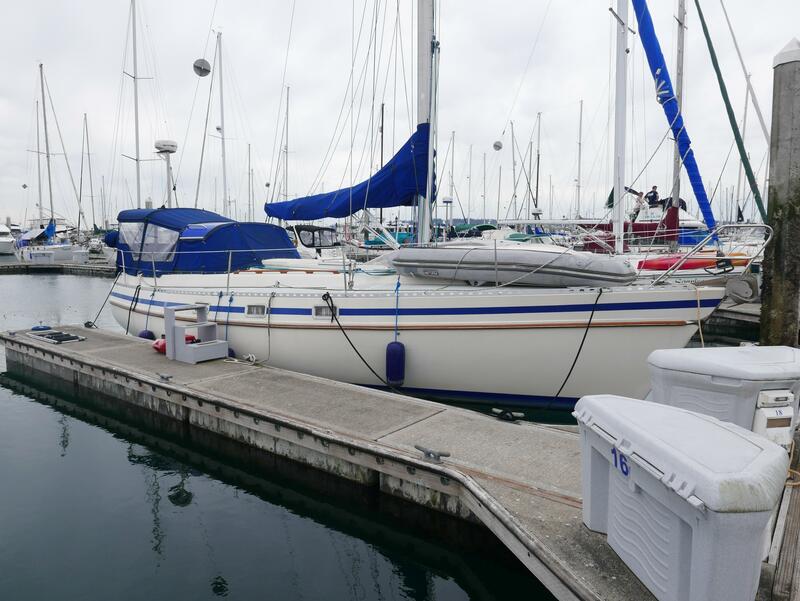 This yacht provides excellent quality and ample space, at an affordable price. Indeed, this is a very rare boat to have here, on the West Coast. Not so in Europe, where the Contest 35 is popular, and proven. High gloss varnished teak interior with teak and holly sole throughout. 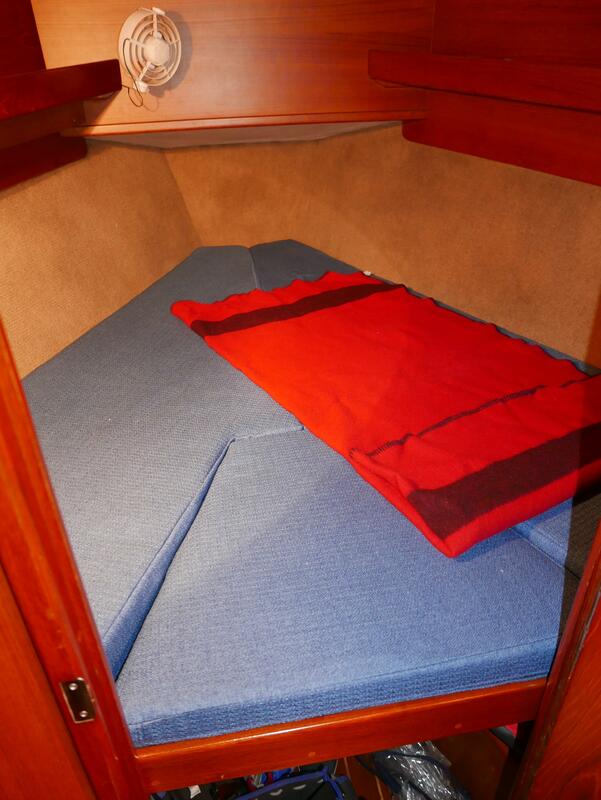 "Serenity" sleeps seven, with four in two private cabins and three in main salon. In each cabin she has fans. As well as, dome and reading lights in each cabin. 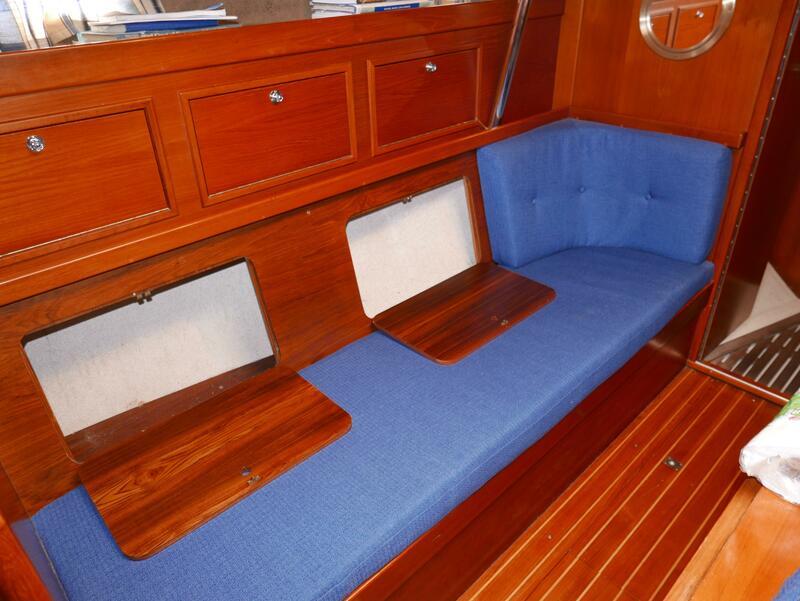 All berths are fitted with lee boards. Excellent storage and access to all spaces. 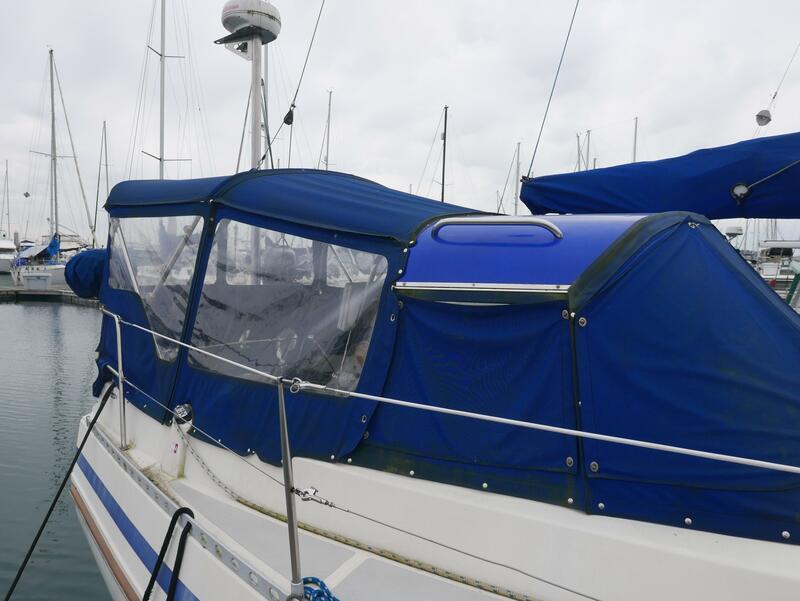 Forward is a v-berth with infill and storage underneath. Next aft, is the head and shower, with a hanging locker and shelves for storage. 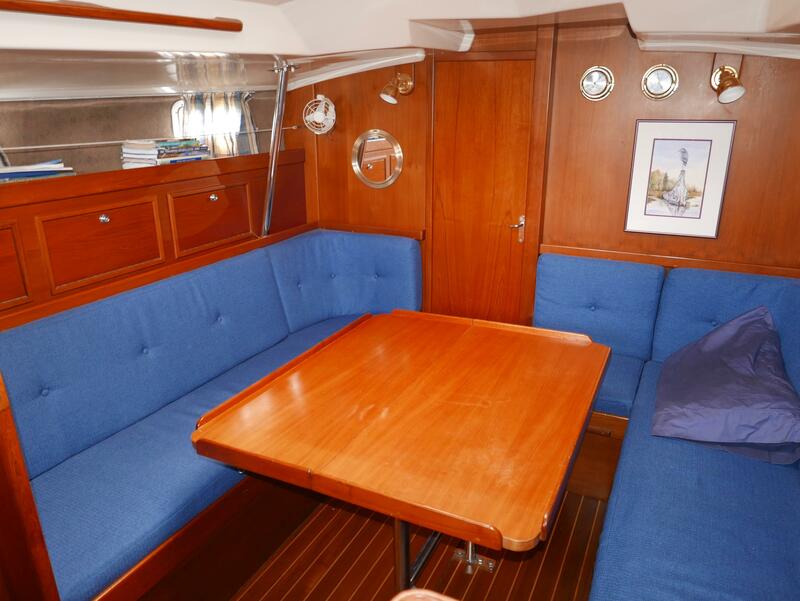 The settee is to port, with storage outboard and bottle shelf above. 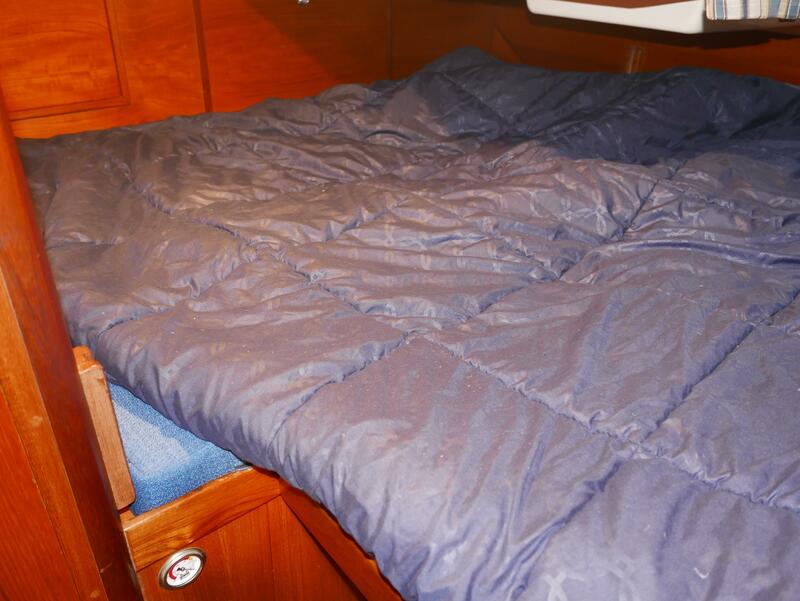 The "L" shaped dinette converts to a double berth. The drop leaf centerline table seats seven. The galley is to starboard. 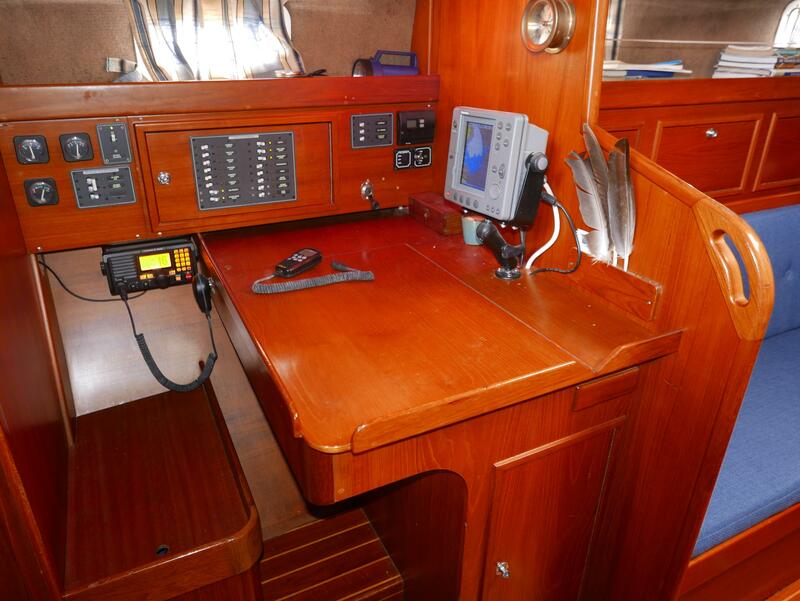 There's a forward facing navigation station with a large chart table and a chart drawer to port. 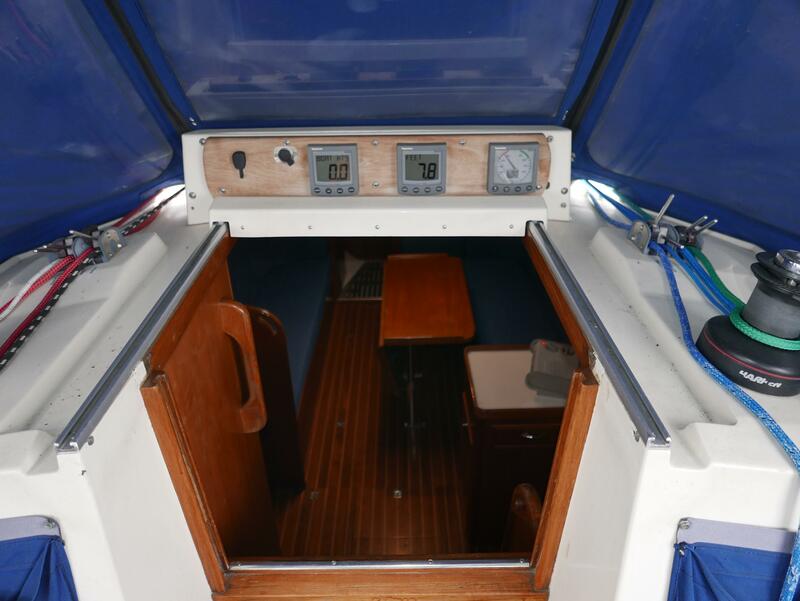 With standing head room, the aft cabin has space for dressing behind a closed door. It includes a mirror, sink, and lockers. 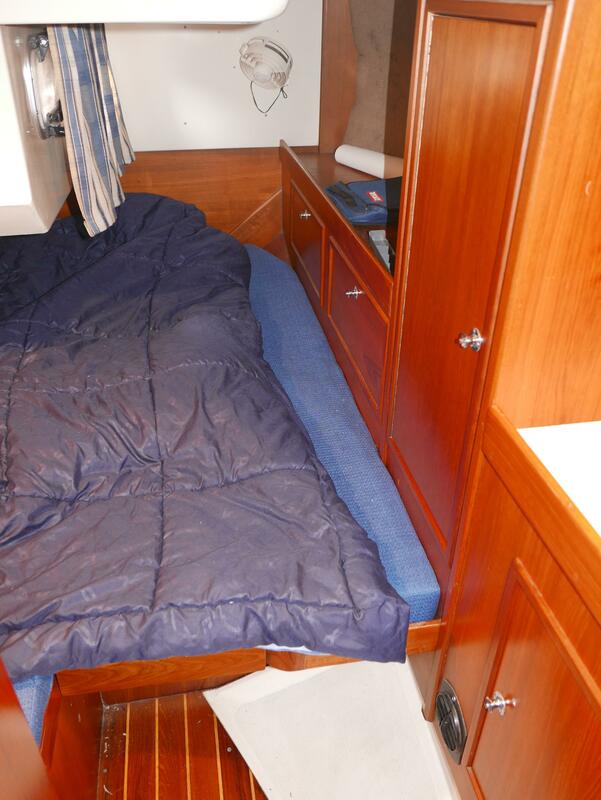 The bunk measures 6'-6" long by 6'-4" wide with divided mattress and adjustable lee boards. This boat is capable of serious cruising. 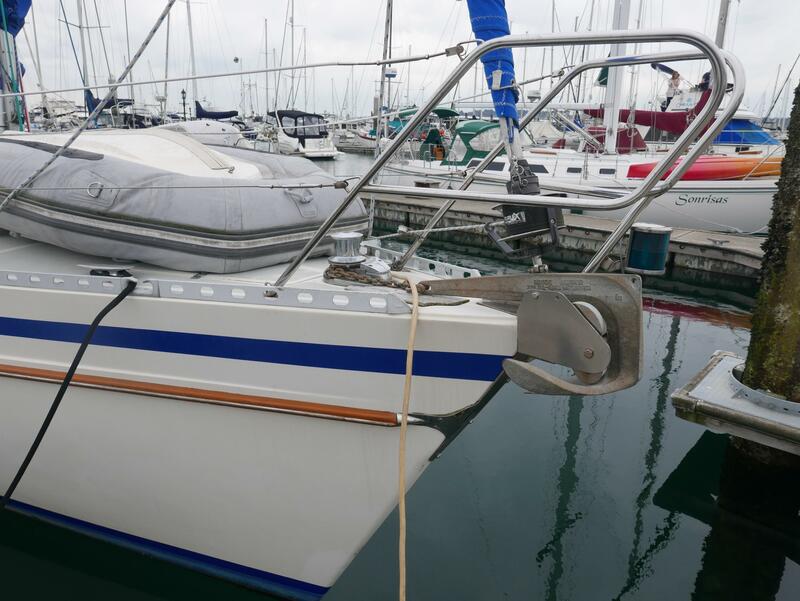 This boat will be easy and a joy to sail as all lines from the mast are led aft to self-tailing winches and stoppers. 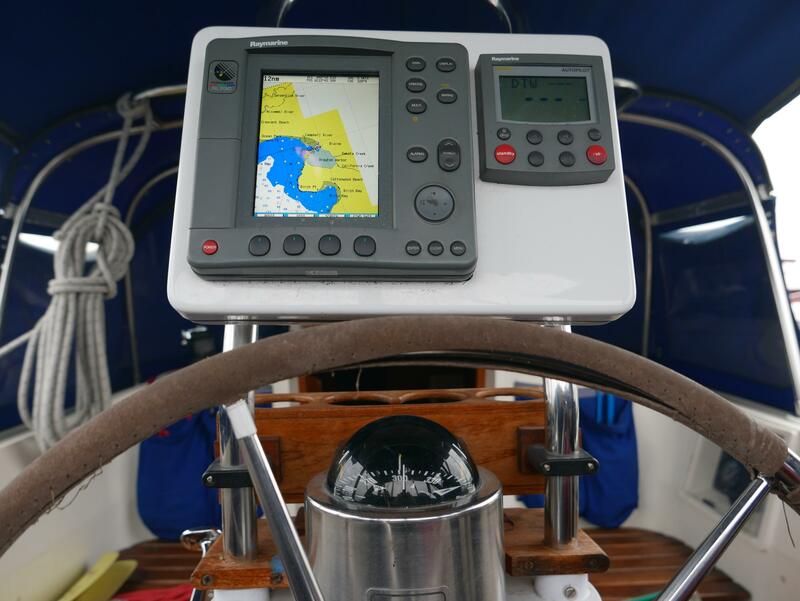 Sail controls are well designed and laid out for efficient handling. 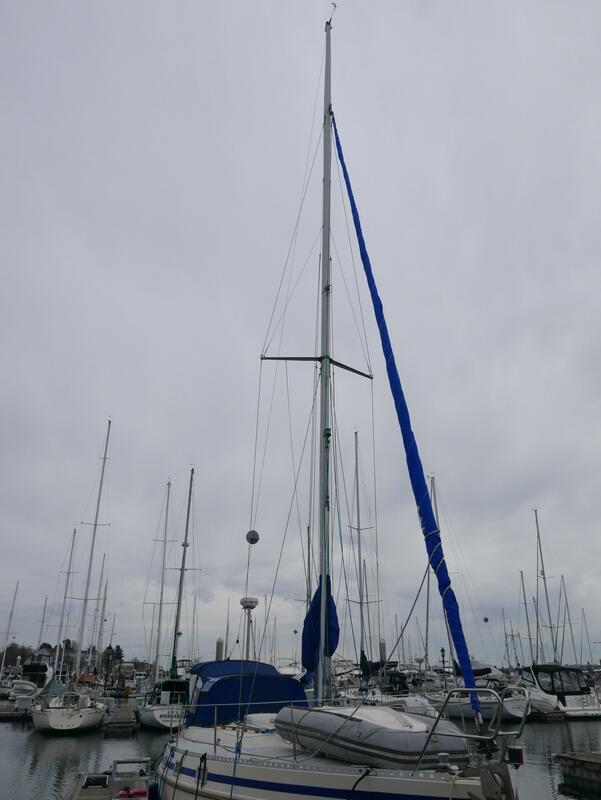 Single spreader aluminum mast by Selden. Fractional rig. 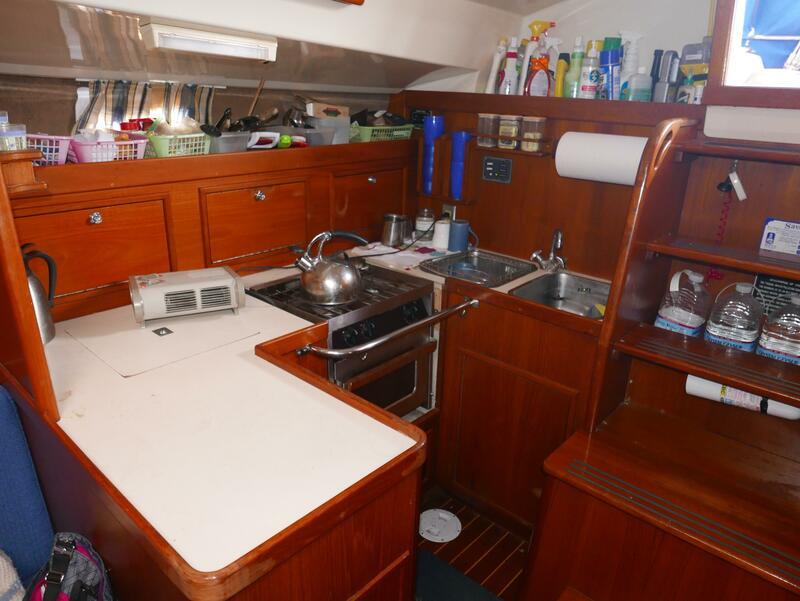 Very uncluttered deck with small coachroof. Teak grabrails on coachroof, molded in non-skid. 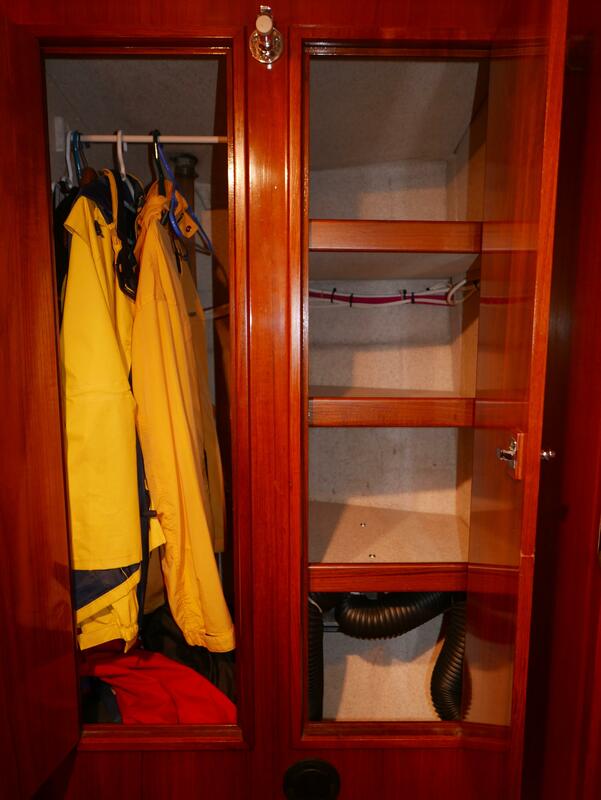 Ample storage in bow locker and three cockpit lockers. Mechanical and electrical systems are in excellent condition and well designed. Newer Volvo engine with low hours and a newer engine control panel; newer Whitlock mecanical steering system and pedestal with elk hide covered destroyer wheel.